As human we are comprised of four bodies, our physical, emotional, mental and spiritual bodies. These four bodies are interconnected and woven together creating our entire human being. Our being is linked to all existence through our body of light. Our body of light is far greater in size than our physical body and is not limited nor constrained by our physical world. This body is able to move through time and space connecting us to other dimensions of reality and other life forms that exist throughout Creation. 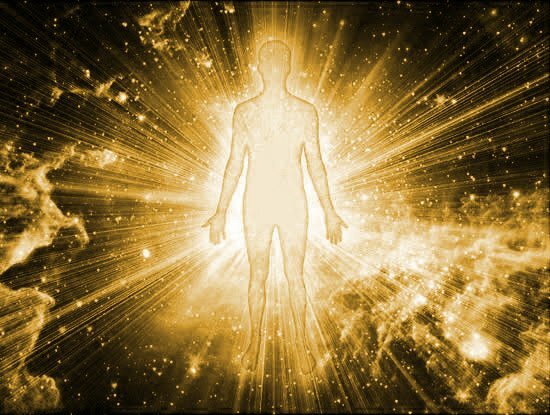 Our Light Body holds the essence of our multidimensional self and in shifting our consciousness and accessing our Light Body we are able to move through different dimensions and to view other realities. Through our Light Body we have the ability to access and to communicate with different dimensions for the purpose of our growth, learning and development. For the most part this process of communication happens unconsciously or during our dream time. But part of our evolutionary process involves building and integrating our Light Body into our Human forms. In integrating our Human Light Body it will become possible for us to consciously access and communicate with other dimensions, gathering knowledge, wisdom and guidance. By being conscious of the guidance and wisdom available to us, we will then be able to apply this knowledge within our own lives, healing ourselves, our world, and enabling us to progress further along the path of our Soul evolution. For many thousands of centuries, our lives have been controlled by the belief systems held within our societies and cultures. These belief systems have become the blue print by which we create our own lives and our own realities. We buy into the beliefs of others and recreate their reality thereby replicating the damage and destruction of humanity and our Earth. All this recreating and replicating has created an energy pattern that has been grounded into the energy field of our Earth through us. The original blue print for the Earth was one of peace, love and harmony between all living things. That blue print still exists beneath the energy patterns and structures that we as human beings have initiated. At some point in our history we allowed ourselves to think we were superior to all other life forms on this planet. We allowed these thoughts to become the basis of our belief patterns and thus began our journey of separation and the grounding of these patterns into the energy field of our Earth. Our Earth is a living, breathing energy field and as we walk upon Her body an energetic connection is formed between us and the Earth. It is through this energetic connection that all our thoughts, feelings and creations are transferred, grounded and held in the energy field of the Earth. It is this energy field that assists us in creating our physical reality. In creating our physical reality we tap into these energetic patterns of memory. If these memories are of old, outdated and negative patterns we will have a very difficult time trying to create a life of love, peace and harmony. We are all here on this Earth because we need to heal and to evolve and in order for us to do that we are required to change our patterns of belief, structure and behavior. As we evolve, grow and develop we begin to access our inner truth, held in the deeper aspects of ourselves. As we uncover our inner truth we realize that our material world does not define who or what we are and our search for a deeper meaning to our life begins. On this journey we discover that it is only through the Spirit that we can gain any understanding of what is occurring in our world. With this understanding we are able to begin a process of healing; releasing old patterns of belief and behavior and allowing our Spirit to guide our day to day life. As our connection to our Spirit strengthens we are able to tap into the true essence of ourselves, which at its core is an essence of love. It is only through healing ourselves that we are able to tap into our essence of love and it is only through the love of self that we are able to pull light into our physical bodies, thereby activating, building and integrating our Light Body into our physical beings. In connecting with our true essence of love and allowing that energy to be channeled through us, we are able to begin transforming the energy patterns held with in the Earth, allowing for the original blue print of love, peace and harmony to arise. Accessing our true essence of love initiates changes in our molecular structure enabling us to begin building our Light Body. As we build our Light Body we allow the healed aspects of ourselves to merge and combine with the love of our true essence thus allowing our physical body to hold more and more of our Light Body. Our task is to heal ourselves and merge all aspects of ourselves with our true essence, as we do so our challenges will gather force and our unhealed aspects will be brought to light, assisting us in healing any separations that we continue to carry. This in turn will transform the energy patterns held within our Earth Mother enabling us to build and integrate our Light Body ultimately becoming the light and love of our true essence in Human form.